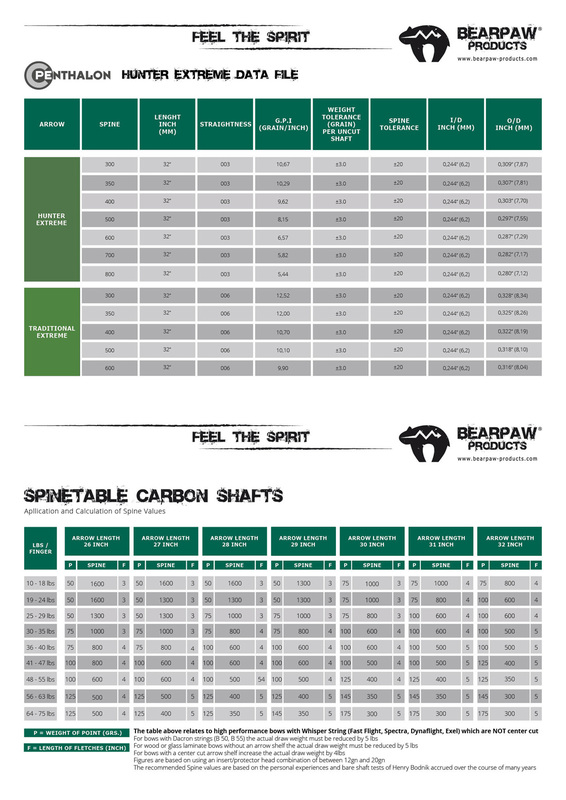 With these two terms you get right to the point of the characteristics of Bearpaw's Traditional Extreme Carbon shafts. In an elaborate manufacturing process Bearpaw have equipped their tried and tested Penthalon Hunter Carbon shaft with a thin ash wood shroud. The Penthalon Traditional Extreme is very difficult to distinguish from a pure wood shaft. In addition to superb looks the wood surface of this carbon shaft can be embellished as you would with a real wood arrow. Crowning, cresting and varnish are all possible. The Penthalon Traditional Extreme is extremely durable and sturdy! Please select the Penthalon Heavy Hunter Insert, Hunter Nock and 3D Combopoint additionally from the shop.